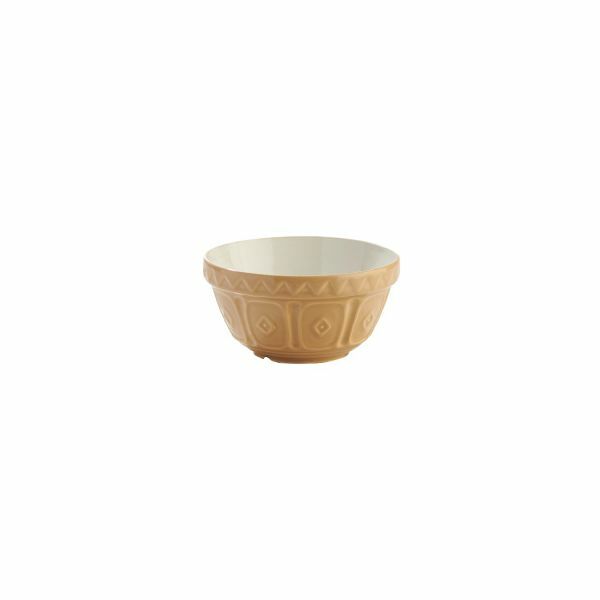 The Cane S42 12cm Mixing Bowl from Mason Cash is the ideal size for mixing salad dressings or storing ingredients. The white interior allows you to easily view the consistency and colour of your mixture and the patterned texture of the exterior provides grip. The Cane mixing bowl is both microwave and dishwasher safe. Dimensions: L 120mm x W 120mm x H 60mm.